English (fluent, oral & written). Swahili or French is an asset. 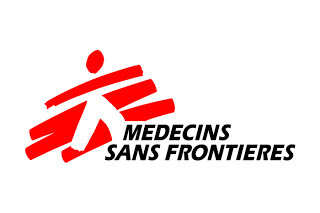 In close collaboration with other medical team members, identifying the needs of Mental Health (MH) support in the target population and participating in the definition, planning, organization and update of the appropriate MSF strategy and the MH activities and its budget. Monitoring and evaluating MH support activities. Reviewing and developing the technical materials, tools, guidelines and documents, and coordinating and ensuring the implementation of all Mental Health standard protocols and procedures set by MSF in order to provide the most appropriate treatment for patients. Planning and supervising, in close coordination with the HR department, the associated processes (recruitment, training/induction, briefing/debriefing, evaluation, potential detection, development and internal communication) of the staff under his/her responsibility in order to ensure both the sizing and the amount of knowledge required. Coordinating and ensuring that Mental Health activities (in and outside health facilities), with the clients are performed with regular follow-up in order to provide the most appropriate treatment for clients with psycho social problems. Ensuring Mental Health team is calm and neutral during sessions regardless of personal feelings and/or beliefs and that the translators are trained about terminology and appropriate behavior during sessions. Mapping and regularly updating the existing Mental Health services, including other INGO’s, local NGO’s, community groups and governmental health services, etc. and maintaining good and regular communication and collaboration with other components of the project according to objectives and context. Ensuring in close collaboration with medical department, that MH department participates in counselling as well as Prevention Parent to Child Transmission (PPTCT) and Voluntary Counselling and Testing (VTC) activities when needed. Participating in monthly reports according to guidelines (SitRep, statistical report, etc.) and reporting problematic situations and cases with the Medical Coordinator to help with decision making and problem resolution. Ensuring that psychiatric patients coming to MSF facilities receive proper treatment including psychotropic medication and psychosocial support either within an MSF program or thru referral to an appropriate resource.